Norah Pritchard of Willowcrest Lane started blogging as a way to share her life and loves, to stay connected to a community, and to always continue to learn from others. 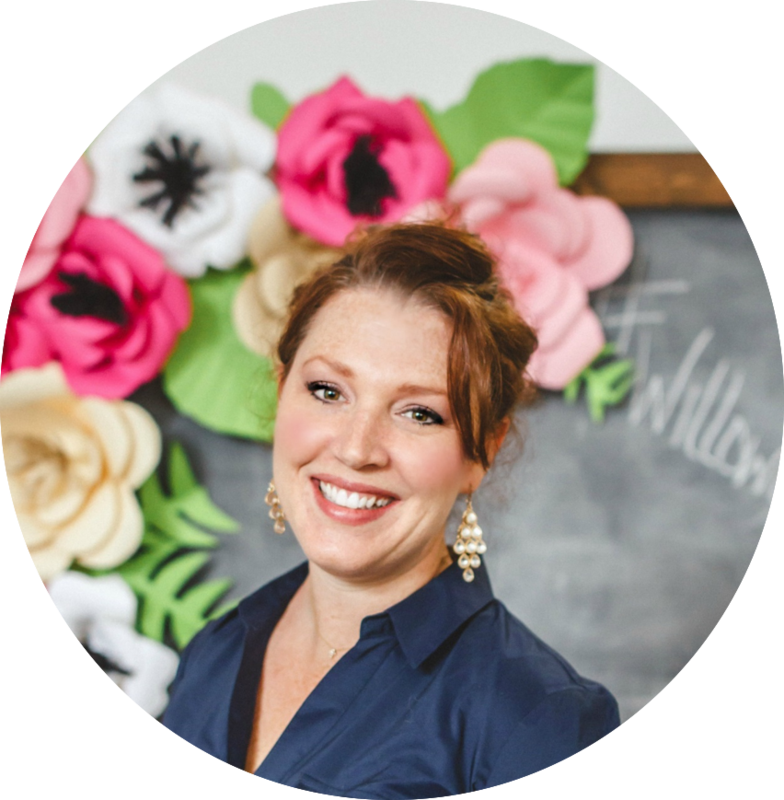 Her blog focuses on ways to make life more organized, more beautiful, and more fun! 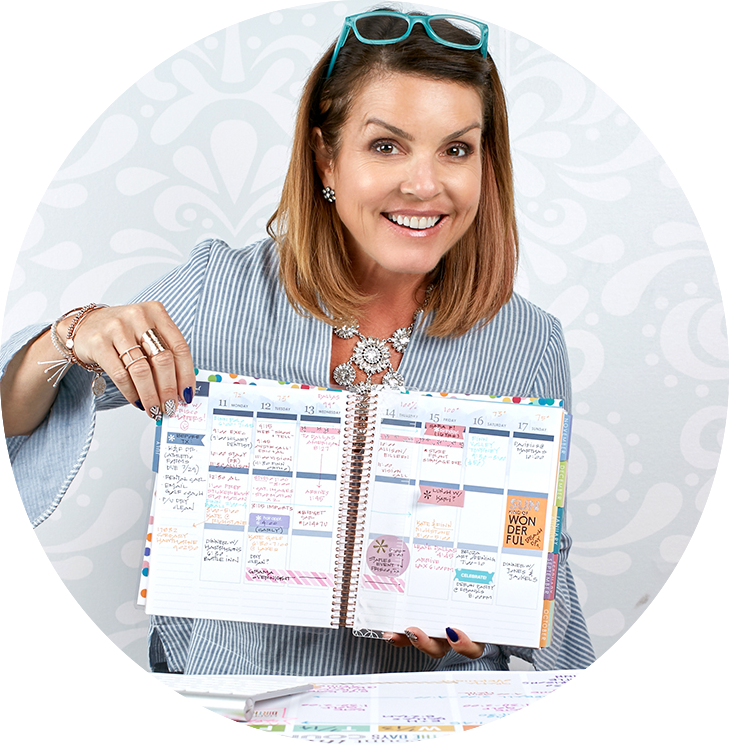 Using my paper planner is one way that I actively try to live a purposeful, balanced life, and I wanted to share that message and meet other women with similar visions. 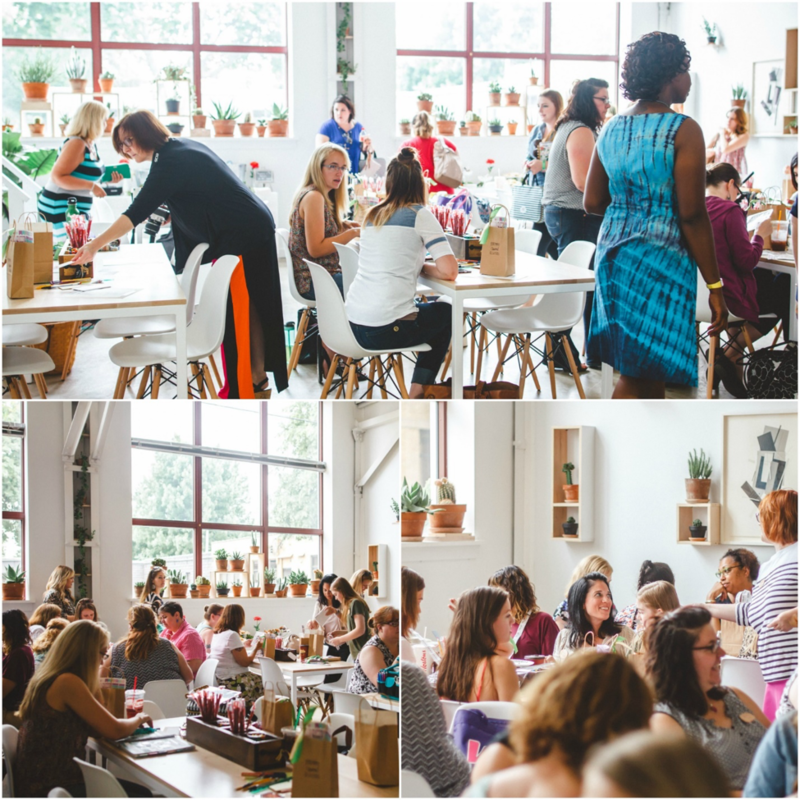 With that thought, I decided to host a Planner Workshop to gather a community of women in Rochester, NY, the new planners and the pro-planners alike, to share what using a paper planner can do for our lives. I shared an Instagram recap of the event here, where you can see all the fun candid photos of the day under the hashtag #willowcrestlaneplans. We met on a sunny Sunday afternoon at the bright, airy Rochester Brainery, where my friend, Jocelyn, from Lemonjam Photography, captured what it looks like to plan, create, and inspire. So often, women can get a little lost in the daily grind of working and taking care of those we love, which we do so well, almost too well. It can be easy to become so busy in our roles that we forget to celebrate ourselves for the amazing women that we are. 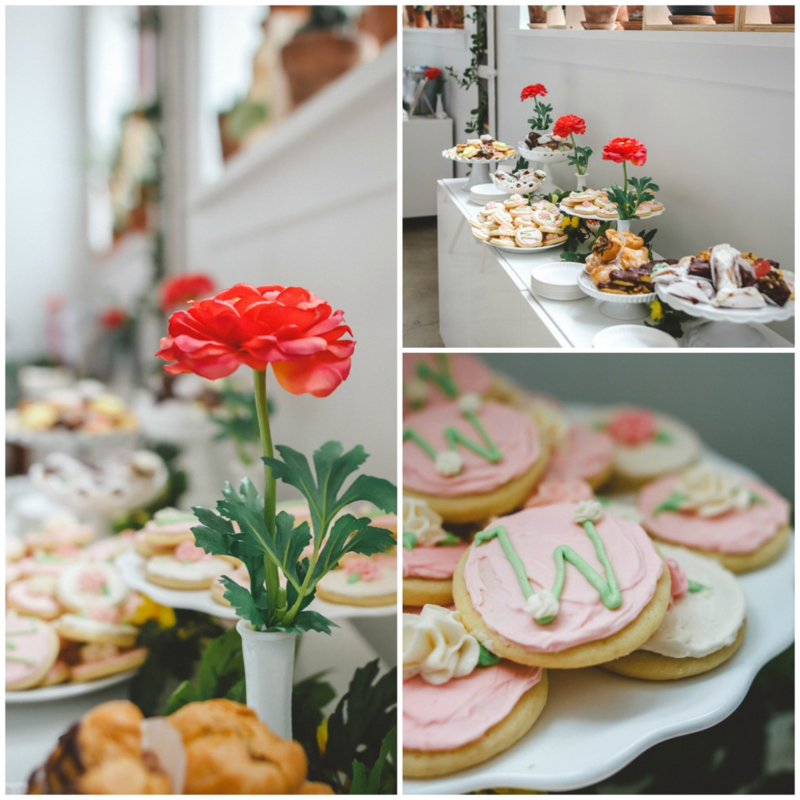 My goals for planning the workshop were to bring a roomful of inspiring planner ladies together, spoil us all a little, and have a beautiful time celebrating the peace that comes from planning a purposeful life. Planning an event like this was so much fun! I wanted to make sure that our time together made everyone feel appreciated, so I put some extra fun details like the name tag board, the planner inspiration board, and the paper flower backdrop together to make our time together special. The excited buzz when the doors opened could be felt throughout the afternoon. As the planner ladies came in, my guest speakers and I welcomed them with big hugs and even bigger swag bags! We had some amazingly generous sponsors that made us all feel the planner love. I’ve been sharing about them all month on my Instagram, so everyone had an idea of how amazing they were. We couldn’t wait to get them and start planning! They were stuffed full of stickers and beautiful washi tapes from 12 different shops! We mingled and showed off planners and our favorite supplies, and then it was time for the guest panel to talk for a few minutes about what planning means to them. My friends, Rachel, Claudia, and Katie are planner pros, and I couldn’t wait for them to share their stories and tips. We covered things like memory keeping, planning for peace of mind, and how to overcome the fear of a blank page. I am so thankful to have met each of these ladies, and share the day with them. Then, it was time for some serious fun with our planners. But first, pastries! We noshed and talked, before settling down to the workshop tables to plan. Each of the workshop tables held a farmhouse centerpiece that my husband makes in our Etsy shop. We loaded it full of sweet treats for the ladies to snack on while they planned. Next to the centerpieces was a very special surprise package from none other than Erin Condren! The Erin Condren team sent each table a bundle of their most fun planner accessories and some pieces from their brand new back-to-school line. 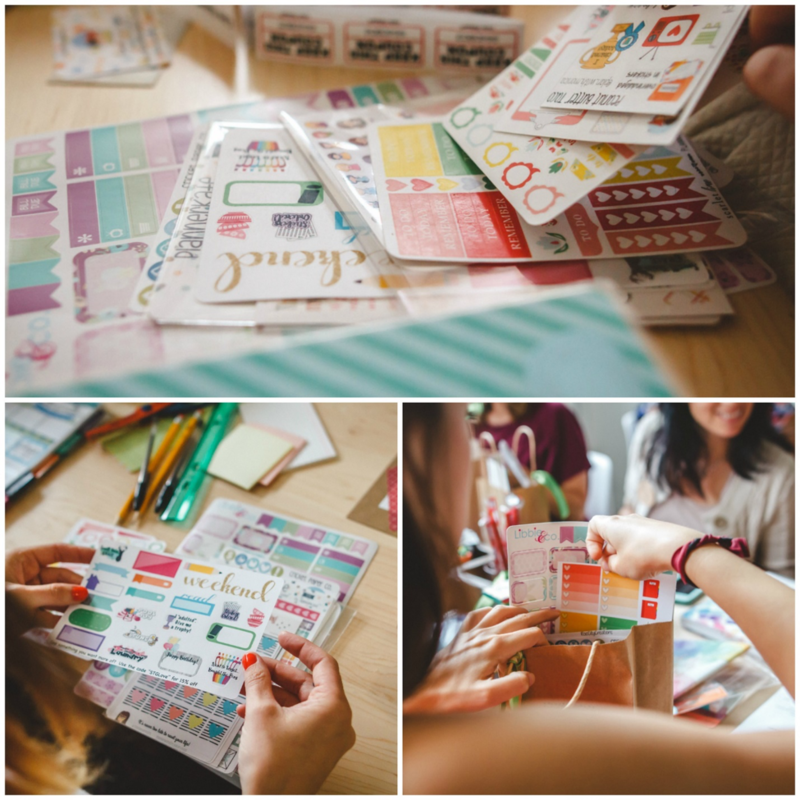 Each guest got to try out the beautiful new watercolor sticker books, washi, and colored pens, as well as some of her brand new back-to-school line! Each table oohed and aahed over the pretty supplies, and started planning right away with the stickers, washi, and pens. I chatted with the teachers at the event about how cute the new pencils, erasers, and journals were. I think I know what to get my boys’ teachers for gifts this year! 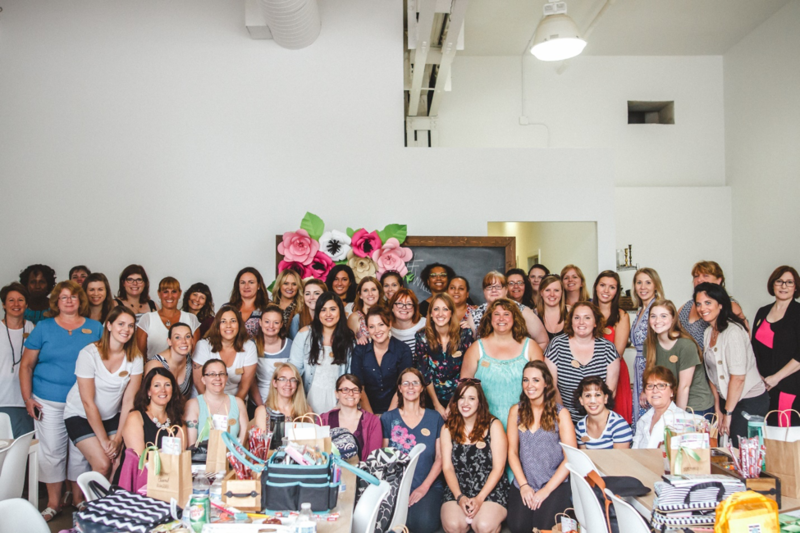 I am so thankful to the Erin Condren team for supporting this event and spoiling us all with so many of her products. Along with all the swag bags and table accessories, the raffle tables were loaded with amazing raffle prizes. I worked for weeks with different brands to offer some fabulous raffle prizes. It was so much fun to watch my husband, Tom, and my best planner friend, Rachel, picking the winners. The door prize, the highly coveted Erin Condren luxe LifePlanner™, was the last drawing. The room got quiet with anticipation, and I could feel the thrill when I pulled the ticket. The room erupted into cheers and clapping when the winner was called! How lucky! I am thankful to be surrounded by such inspirational, motivated ladies. I plan for many reasons: to be more productive, a way for myself and my family to stay organized and find balance, as a creative outlet, and now as a way to connect with my community in this journey to living the best life we can. I can’t wait to plan the next one! Looking for more about planning and events? 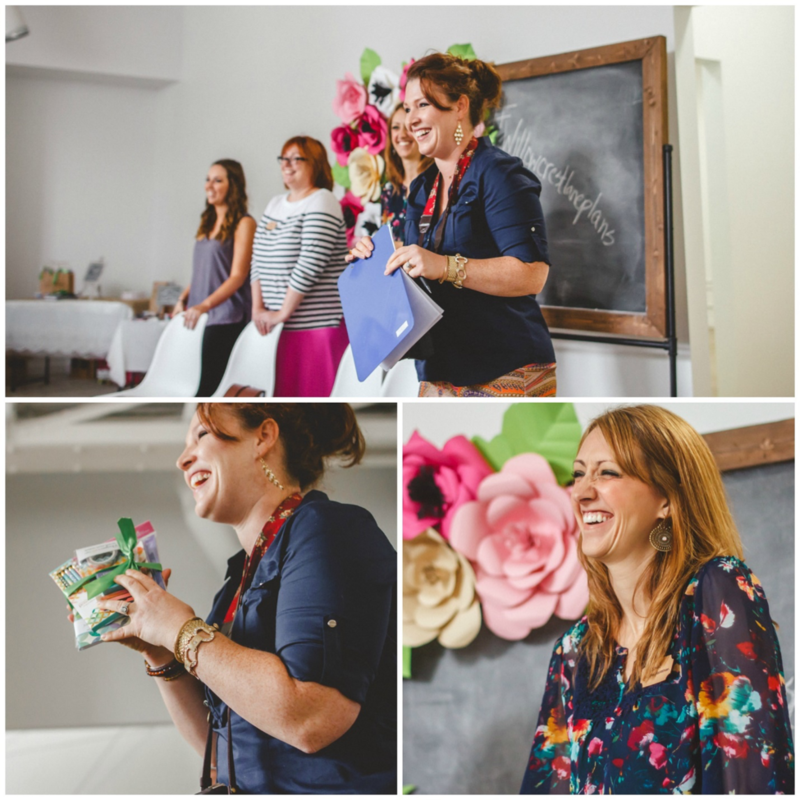 Follow Erin Condren on Facebook for more info on workshops & conferences! Moving Day – Moving Into Your New Planner! When we think of “Moving Day”, most people dread the thought! However, there is something so wonderful (and even therapeutic!) about MOVING IN to a new LifePlanner™. If you are a #plannernerd like I am, you too can appreciate the feeling of a blank canvas and an entirely new “journey” that awaits. Choosing a cover is always tough for me. I’m trendy and I like to switch things up depending on the season, the event I’m going to or the outfit I’m wearing… I love that our covers are interchangeable! I love to add special photos (with a CoilClip™ Connector!) that are nostalgic and spark wonderful memories throughout my LifePlanner™. I transferred this one from my old planner, I’m just not ready to part with this memory! I recently saw a greeting card that said, “Facebook did not need to remind me that it was your birthday!” The LifePlanners™ comes with 4 sheets of colorful stickers that help to highlight birthdays and other special events. I also love to add “bling” to my book with designer stickers that can decorate and inspire…. The idea of a PERPETUAL calendar is so that you can keep one book year after year that holds all the important birthdays and events that never change. However, I must confess that I actually ENJOY rewriting these special dates year after year in the new Perpetual Calendar. Can anyone else relate? Ha! Even after years of planning and organizing, I still get a thrill each time I start a new planner. What’s your favorite part of “moving day?” Share your thoughts with us on social! 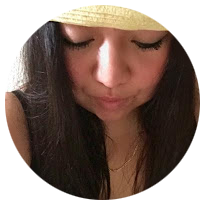 Kana, the author of Life in Wanderlust, is a Japanese American Travel Blogger and Instagrammer. She recently made the choice to leave the corporate world in favor of a year of travel and exploration. Her blog is a source of inspiration and honest travel tips for anyone who’s been bitten by the travel bug! The short answer is: None. As tech-savvy as I am, there’s a huge void in my life when I don’t physically write things down. My several Erin Condren Life Planners™ throughout the years can attest to that. I’ve experienced several different apps that were supposedly going to make my travel experience easier. List apps, plan apps, packing apps, of which all of them have collected dust-bunnies on my phone. I enjoy the convenience of what technology has brought to travel just as much as the next person but I just can’t prep or plan without a pen and paper. Now my longer answer: I use notebooks and lists to plan my trips! 1. Research: Go to Yelp, the destination’s Travel Bureau or your favorite Travel Blogger for recommendations. 2. Jot down places you’re interested in: Once you find some places, jot them down on your notebook. Don’t forget to check their hours and days of operation. You don’t want to arrive somewhere for it to be closed; been there, done that! I color-coordinate everything and these party pops markers markers are perfect as they don’t bleed through the page. 3. Prioritize places you’re interested in: Chances are, you jotted down too many places and won’t have time to go to all of them. Number them by priority and see what shortened list you come up with. 4. Create a rough schedule: With that shortened list, flip over to the back side of the snap-in travel dashboard and start planning the days out. I’m obsessed with this dashboard because it’s erasable in case you want to modify things and of course, you can reuse it! 5. Make reservations if necessary: If places take reservations, make them. You can thank me later. 6. Start packing: Truth be told, packing is my least favorite part of traveling. I despise the “I wonder if I forgot something” stage as you’re driving away from the house; am I the only one? In the past, I made checklists for myself but with the frontside of the snap-in travel dashboard, it’s not as stressful! It lists all the essentials! I love that it’s erasable so you can use it over and over; plus it’s environmentally friendly! 7. BONUS – make an info page: This is really up to you but I personally love having all of my confirmation numbers for flights, hotels, rental cars, all on paper. You could lose your phone or run out of battery when you need that information. Can we take a moment to appreciate the perforated pages on these journals? I take my page out and keep it in my purse. What summer travel plans do you have in the works? Shop the entire travel collection to find everything you need to jetset in style! 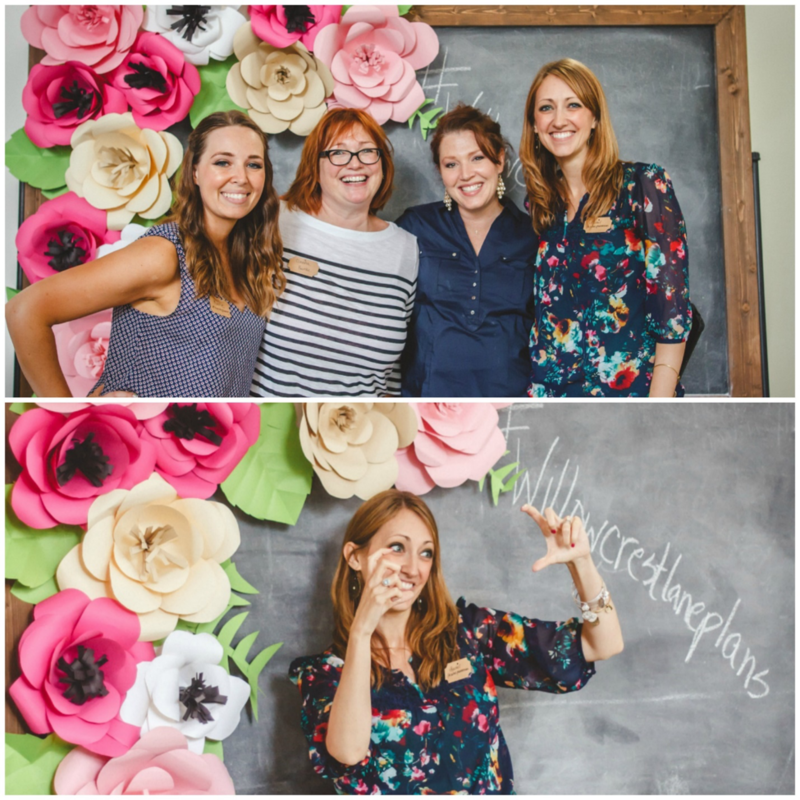 You don’t need to ask me twice to throw a party… so when my team came up with the brilliant idea to host a press event showcasing our new LifePlanner™, I was immediately sold. We reserved a serene space at the amazing new restaurant, Au Fudge in West Hollywood and began the party prep. We knew there had to be food, flowers and FUN, and so there was just that. Mixed summertime blooms in bright corals, pinks and yellows brought the LifePlanner™ party to life one pop of color at a time. As the intimate group of influencers started to trickle in, the room began to beam with excitement and chatter of which layout each attendee had chosen. We pre-printed each gal’s book to ensure she was ready to rock her new LifePlanner™ look upon arrival. We even set up a DIY decorating desk for attendee’s to stage a snapchat or start filling out their new book! Planning is hard work, so we made sure all attendees we’re fueled up for a long day of chatting and planning with light bites and sweet treats. Mini waffles and tea sandwiches made for a delightfully delicious afternoon. All that was left was for our guests to go home and start planning. It was such a pleasant afternoon showcasing our new LifePlanner™ collection and getting to know a few of the gals we work with and appreciate so dearly. We can definitely say the event was a success and we can’t wait for the next! Are you interested in working with us? Please email our team at social.media@erincondren.com!